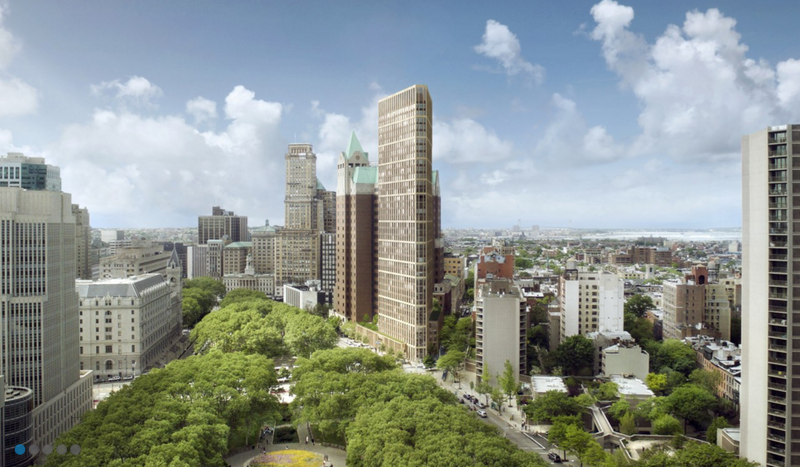 Development at 280 Cadman Plaza West was given the go-ahead at today’s New York City Planning Commission meeting. Excluding two commissioners who recused themselves, the commission voted unanimously to approve plans for a 36-story tower designed by Marvel Architects. 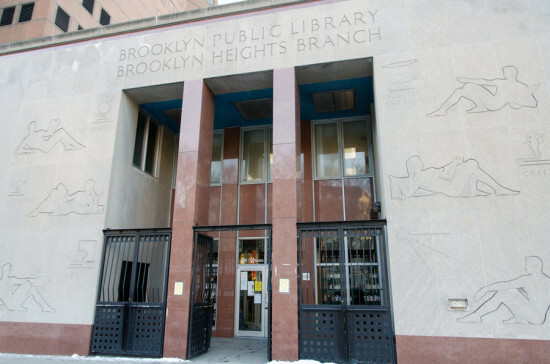 The mixed-use development will replace the Brooklyn Public Library‘s Business and Career Library, which opened in 1962. The development will house 136 luxury rental units, ground floor retail, and a new, 21,500-square-foot library. Commissioner Carl Weisbrod noted that the developers, Hudson Companies, would build additional retail on nearby Fulton Street, as well as develop 114 units of affordable housing off-site, along Fulton Street and Atlantic Avenue. The hearing was packed to capacity with members of Citizens Defending Libraries (CDL), a grassroots organization devoted to protecting the city’s libraries from being sold to private developers. After the commission’s vote, the group reacted in anger and dismay, calling members of the commission “sell outs” and noting that the commission “disregarded all that [we] said” about selling off city property. The library is in the midst of a budget shortfall, and the proceeds from the sale will go towards approximately $300 million in deferred maintenance across all BPL branches. 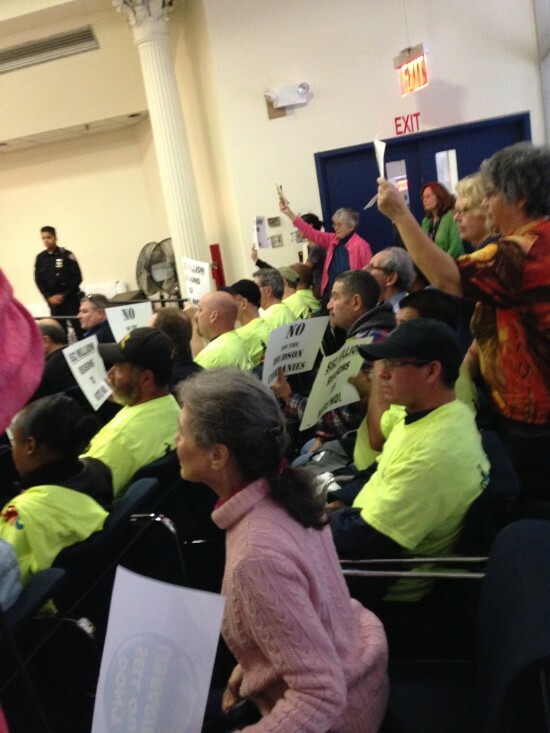 CDL claims that the city bestowed a below-market deal on the developers. Michael D.D. White, cofounder of CDL, notes that the property is valued at $120 million. The commission’s approval may be the final green light for the development, but judging by the intensity of the activists’ disapproval, developers may encounter fierce opposition from CDL in the near future.